On the Zwar Caltowie/Laura home farm; on Glenn's 'Lonsdale' farm near Laura; retired in to Laura. Glenn Arthur Zwar was born in the Laura Hospital on the 10th January 1938, the third of five children of Edgar and Rita Zwar nee Becker. On the 13th February Glenn was baptised in the Pine Creek Lutheran Church by Pastor G. Stolz. Glenn grew up on the Zwar family farm about 12 km out of Laura. He started school at the Caltowie Extension School in 1943 and in the following year went to the Stone Hut School as the tiny Caltowie Extension School had closed. Glenn went to the school with older brother Melville and sister Rhonda by horse and jinker, and finished going to the primary school with younger brother Kevin and sister Valma in 1950. The next year he became a boarder at Immanuel College in Walkerville in Adelaide. He spent the two years 1951 and 1952 at Immanuel and would have liked to spend more years there but it was not possible as his youngry brother Kevin began at Immanuel. Glenn began farming and he enjoyed it even more than school. Glenn enjoyed attending Youth Groups and their Meetings, Socials, and attending their State Conventions. At one of the socials he met his future wife Judith Scholz. They were married on 7th October 1967 in the Wirrabara Lutheran Church by his young brother Kevin who had become a Lutheran Pastor. Glenn and Judith had two children, Peter – born in 1969, and Karen, born in 1972. Glenn continued his church life at the Pine Creek Lutheran Church where he served as a steward and his daughter remembers spending Sunday afternoons helping to count the collection offerings. Other community roles Glenn served in included serving as a Councillor on the Laura District Council, and later on in the Northern Areas Councils and as President of the Laura Primary School Council. Glenn and Judy started their married life at their new property “Lonsdale”. When they were first married they didn’t have a kitchen and got hot bread delivered to their mail box on the main road and they used a frypan for all their cooking. Glenn and Judith continued to reside at the ‘Lonsdale’ farm until 2006 when they retired into Laura. Their son Peter and family live on the farm and Peter is still working the farm today. 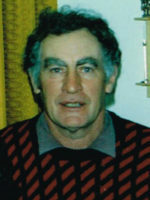 Glenn was a keen sportsman and enjoyed playing cricket for Appila, football for Laura, and later in life Lawn Bowls for Laura, a sport in which he enjoyed a measure of success. The family home had a cupboard full of trophies and prizes and included a screw driver set, bowls, air water pots, car jacks and glasses. He was the club ‘Champion of Champions’ two or three times, chairman of the Club and lawn keeper. Glenn enjoyed bowls practices and also going to a lot of tournaments both in the neighbouring towns and the nearer Associations. Glenn was a farmer born and bred, and he especially loved his sheep. When shearing time came around that was all he could and would think about. Later in his farming life he enjoyed buying, selling and feed lotting the lambs. He would go to the Gladstone weekly markets, as well as the monthly markets in Jamestown, Melrose, Peterborough, and sometimes even Burra to check out the stock, chat about the local footy and bowls. Bowls and the Markets took up all of his time, especially once son Peter began to work on the farm, this allowed Glenn more time to pursue his hobbies. After many years of hard farming life, like many farmers it took its toll on him physically. He would take his gopher to the markets and always found someone to help him load it. If he wanted someone’s attention he would bump into them with the gopher. Glenn continued to attend markets until he was no longer able to stand or get around. Glenn liked to tinker in the shed. He built Peter and Karen a go-cart that needed motors replaced every couple of years and these motors increased in size and speed from lawn mower motors and then scooter motors. The go-cart was especially good fun in the winter mud and anyone who got on it was hosed down on the lawn by Glenn before they were able to go inside the house. This go-cart just managed to survive Peter and Karen’s childhood. We built the ‘Pecker’ with Peter Hill who was the ‘A’ grade football coach helped by Clive Thomson. They spent many nights working in the shed and the family were told they weren’t allowed to see it until it was finished. It’s wing flapped with one horn noise and it rocked back and forth with another wing. This was taken to the Laura/Wirrabara football games as the mascot. It now resides in Myponga as the Myponga Mudlark. On the 7th of October 2017 Glenn and Judy celebrated their 50th Wedding Anniversary. Glenn could never have made a better choice for his wife than asking Judith to marry him. She was a wonderful and caring wife to Glenn for more than the 50 years they were together. Glenn left behind his two grandchildren, Hailey and Thomas, whom he adored, and they were the reason for most of his smiles in the later years of his life. He would take them for rides on his walker or the gopher and he had to hide the keys so they didn’t ride off on their own. Glenn passed away in the Crystal Brook hospital where he had resided for two and a half years.